MongoDB received an overwhelming number of nominations for the fourth annual MongoDB Innovation Awards, recognizing companies who are using MongoDB to dream big and deliver incredibly bold, innovative solutions for their business and industry. We are thrilled to announce our 13 winners who will be honored at MongoDB World 2017, June 20-21 in Chicago. Experian Health helps customers make smarter business decisions, build a better bottom line and foster stronger patient relationships for more than 3,200 hospitals and 7,100 healthcare organizations, representing more than 500,000 healthcare providers. The team recently launched the Universal Identity Manager (UIM), a patient identifier system built on top of MongoDB that brings together data from disparate databases, systems and data formats to create a single view of a patient. The UIM improves the safety, speed, quality, and cost of care for patients and caregivers alike. Working with MongoDB, Nuxeo built an entirely modern, cloud native, Content Services Platform - that enables customers to easily transform data into highly valuable digital assets, supporting their Digital Transformation initiatives. Native integration into business and productivity applications means customers can work the way they want without disrupting their operations. MongoDB is helping Nuxeo's largest customers exceed their most demanding scalability, performance and high availability requirements. Using MongoDB Enterprise Advanced, Nuxeo has seen a 10x improvement in bulk import throughput, stored more than 1B documents on a single cluster, and secured an import rate of more than 30K documents per second. Leveraging MongoDB Enterprise Advanced, Orbita securely ingests massive volumes of IoT data, adapts to changing data requirements, and helps organizations provide patients with high quality, cost-effective, and personalized care and support. Pivotal Cloud Foundry, Pivotal's flagship software product, is the world's most powerful cloud-native platform used by organizations to rapidly develop and run modern and legacy applications at startup speeds. As a result, Pivotal works with over one-third of the Fortune 100, and a rapidly growing portion of the Fortune 2000. Moreover, Pivotal's continued customer momentum is accelerated by its growing partner ecosystem—highlighted by collaborations with companies such as MongoDB. MongoDB Enterprise is integrated as a service broker on Pivotal Cloud Foundry via Ops Manager, allowing dynamic on-demand provisioning of MongoDB service instances across hybrid clouds in standalone, replica set, or sharded cluster configurations. The joint solution drives rapid application development by reducing the friction between development and IT Operation teams. Developers are able to instantly provision MongoDB instances in a self service manner, without worrying about the complexities of configuring the underlying infrastructure. Simultaneously, IT Operation teams can seamlessly monitor, manage and scale MongoDB instances to ensure high service levels. Together, Pivotal and MongoDB offer the promise of an automated platform to build and run cloud-native applications, at scale. InVision is the world’s leading design collaboration platform. Leveraging MongoDB Atlas as the multi-tenant solution for JSON messages, InVision built a highly collaborative design platform in the cloud that allows people around the world to have access to their designs at the speed of light and without a single line of code. Companies like IBM, Airbnb, Visa, Netflix and Evernote trust InVision to unlock the power behind design-driven product development. Panera Bread uses MongoDB to help power U.S. e-commerce applications. This has helped Panera ensure their apps are available and response times are optimized. Infosys, a global leader in consulting, technology and next-generation services, partnered with MongoDB to launch a 1000+ consultant practice coupled with a robust center of excellence to help enterprises accelerate their digital transformation and application modernization initiatives. Infosys and MongoDB not only help organizations address the key pain points of cost, performance and scalability across legacy applications, but also respond to changing business needs by building new digital capabilities. As part of the partnership, Infosys and MongoDB are already helping many large enterprises with renewing and modernizing their IT landscape. Cisco is the worldwide leader in IT that helps companies seize the opportunities of tomorrow. One important part of the business is Cisco’s eCommerce Platform which serves 140,000 global users across Cisco’s sales team, partner employees, and customer employees. This is a mission critical platform supporting $40+B of Cisco’s business. In order to tap into the agility of the cloud and improve the customer experience Cisco migrated to MongoDB. This change is helping developers get new applications live quicker, providing better scalability and giving customers a greatly improved experience by improving response times to users by 5x. Cisco’s commitment to excellence and embrace of cloud-native technologies has dramatically improved how its most important clients interact online. Phreesia is at the forefront of improving the patient experience and organizational efficiency by helping healthcare providers better manage the patient intake process so they can focus on what they do best: rich doctor-patient interactions and high-quality treatment. MongoDB powers one of Phreesia’s most important applications – the eligibility application – that covers the gamut of the ‘run-up appointment’ process and allows patients to proactively pre-register, manage copayments, and ensure all their personal contact, medical history, and insurance information is accurate, up to date, and secure. 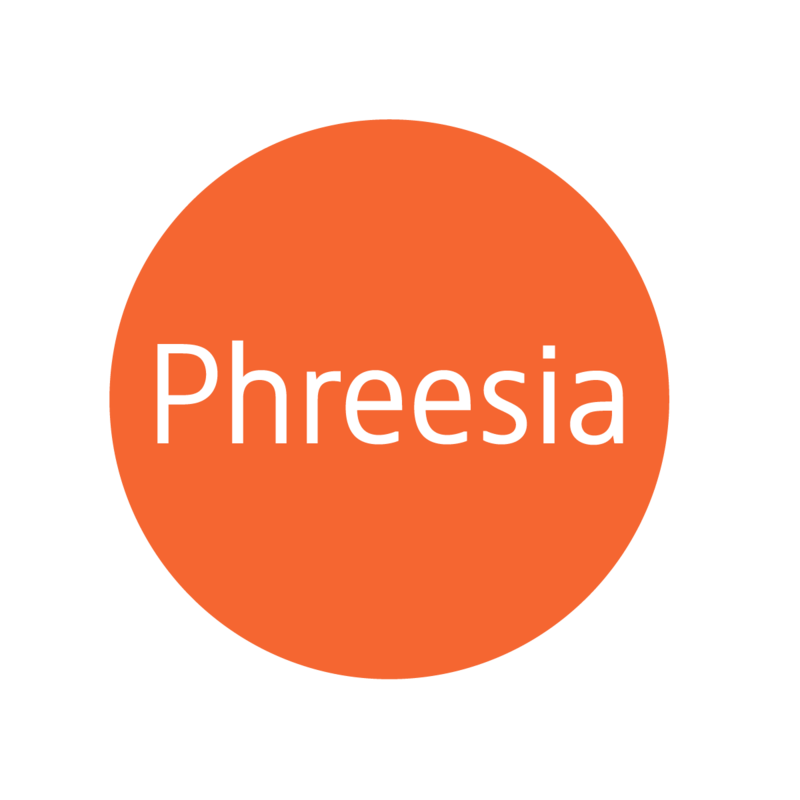 Phreesia manages intake for over 50 million patients annually and has checked in more than 15% of the U.S. population. A digital revolution is happening at HSBC. As one of the world's largest banking and financial services organizations, the company is building global digital solutions that will help millions of customers worldwide to manage their personal and business finances. The drive for digital innovation comes as part of a series of strategic actions set out by HSBC’s board to adopt technology that makes HSBC simpler, better and faster. An example of that is how two HSBC trading IT teams are migrating away from relational databases to MongoDB as a technology to help simplify, migrate and manage complex data change. This technology shift is happening in tandem with a philosophical shift to an agile development and devops culture, enabled in part by MongoDB’s flexibility and scalability. IHS Markit (Nasdaq:INFO), whose customers include 85% of the Fortune Global 500, is a world leader in information, analytics and solutions for the major industries and markets that drive economies worldwide. The company’s Data Delivery Service gives businesses access to more than 50 different streams of data including bonds pricing, commodities data and securities information. The service is powered by a complex infrastructure originally built on a relational database. However, growing data volumes and new requirements mandated a faster and more scalable solution. To solve that challenge and get new applications to market quickly, IHS Markit migrated its Data Delivery Service to MongoDB. The results have been impressive, with some financial data being delivered as much as 250x faster than it was previously. Barclays is solving one of the trickiest challenges facing any enterprise: a true 360 degree view of the customer with a platform that gives all support staff a complete single-view of every interaction a customer has had with the bank – including branch interactions, telephone banking, fraud detection alerts, outbound transactions, and more. This is helping Barclays drive customer interactions to new digital channels and improve the customer experience. Robert Fehrmann is a Senior Architect at Snagajob, a site that aims to put people in the right fit positions so they can maximize their potential and live more fulfilling lives. Robert has been working with Database technologies for over 30 years. Back then the newest kid on the block was Oracle. Over the years Robert has worked on countless applications, big and small, development and administration, always staying close to the data tier. Since bringing MongoDB to Snagajob in 2011, Robert has taken almost all the courses at MongoDB University, has been a founding member of the Richmond MUG (MongoDB User Group), which celebrated it's 4th anniversary in October of last year. And when Snagajob opened an office in Arlington, VA, Robert joined the Washington DC MUG, became a co-organizer and convinced Snagajob to provide the community with the same support for the DC community that the Richmond community has enjoyed for years.